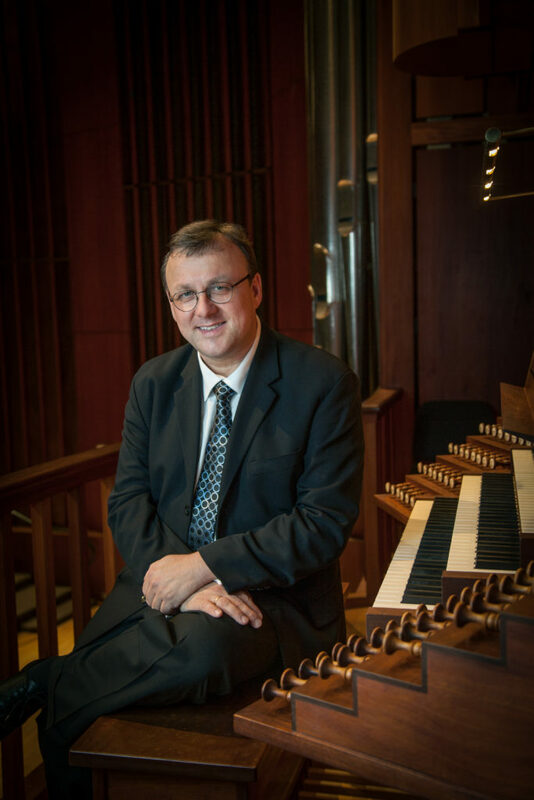 This recital is sponsored by Bruce B. Stevens. 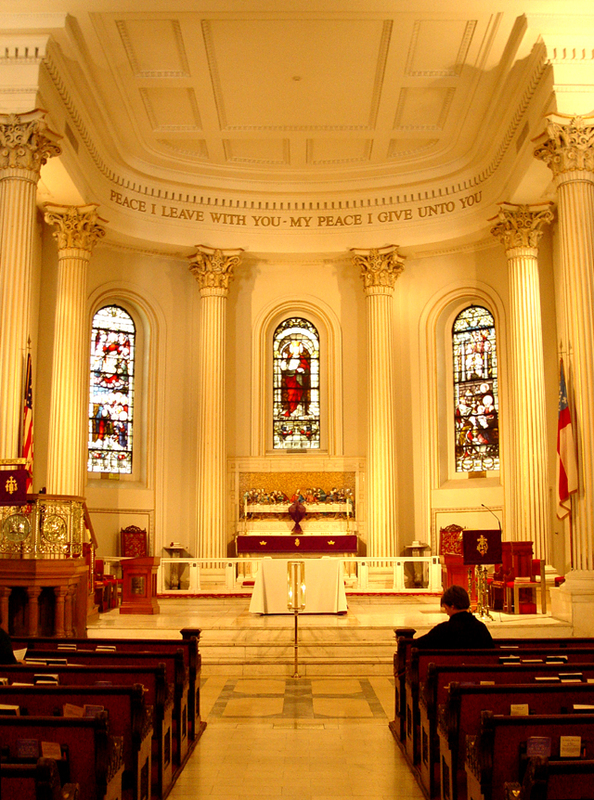 Installed in 1999, the St. Paul’s organ was built by Manuel Rosales of Los Angeles, California. 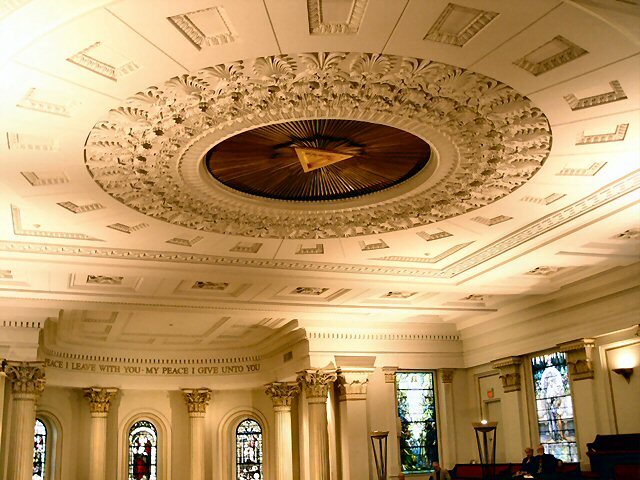 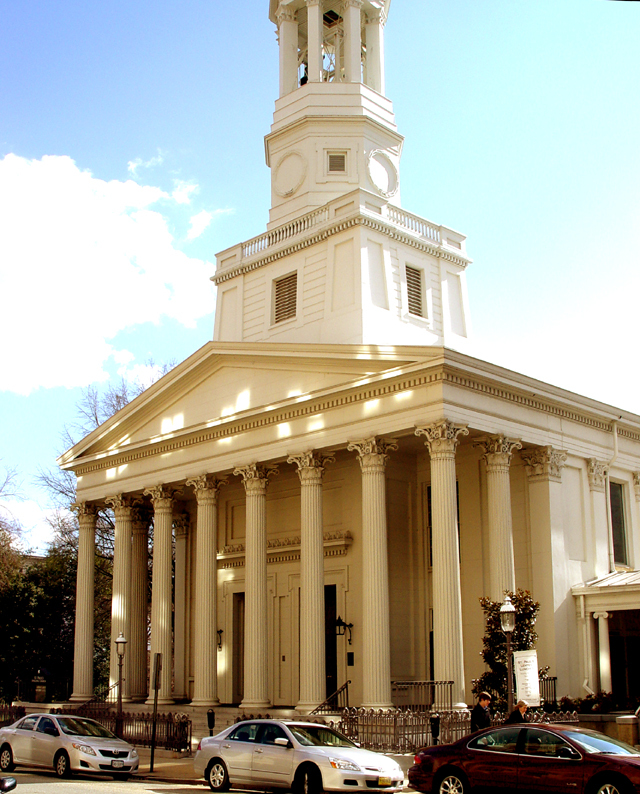 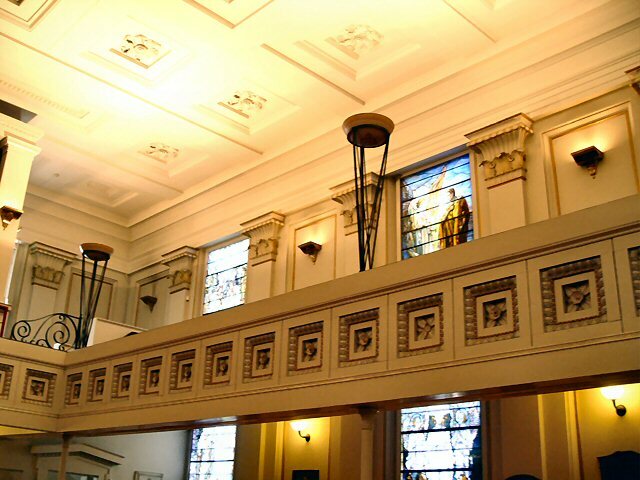 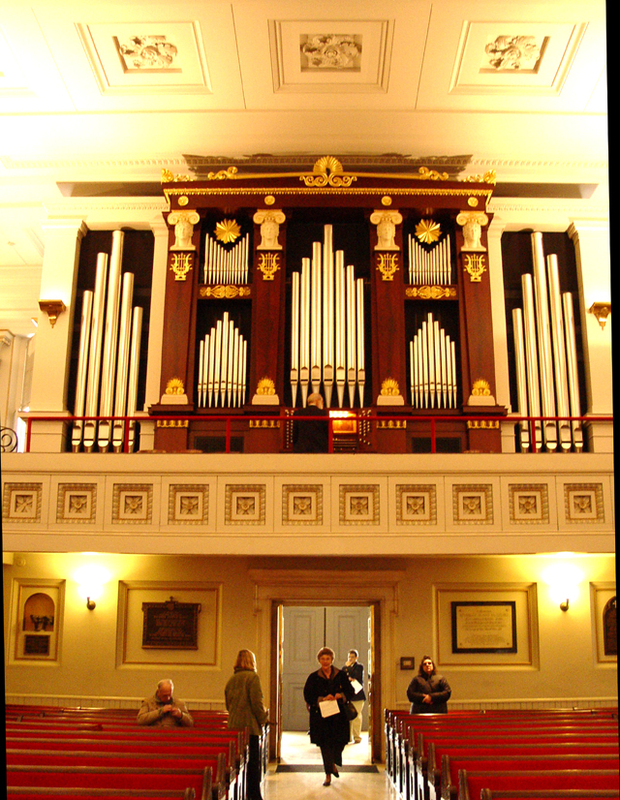 The organ has three manuals (keyboards), 45 stops (totaling 2,677 pipes), and is in a mahogany case designed by John Blatteau of Philadelphia in the Greek Revival style, as is fitting for the historic Greek Revival building. 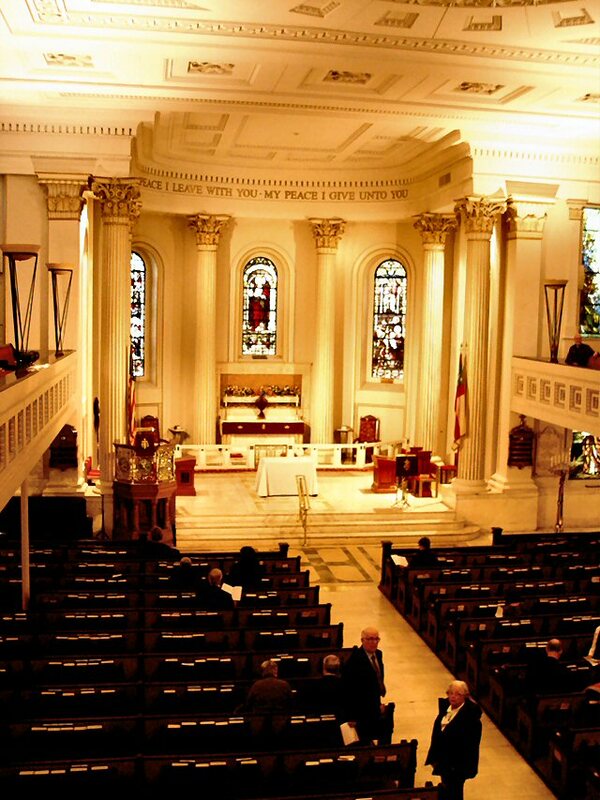 The organ is dedicated in loving memory of Mr. & Mrs. William E. Massey, Sr. 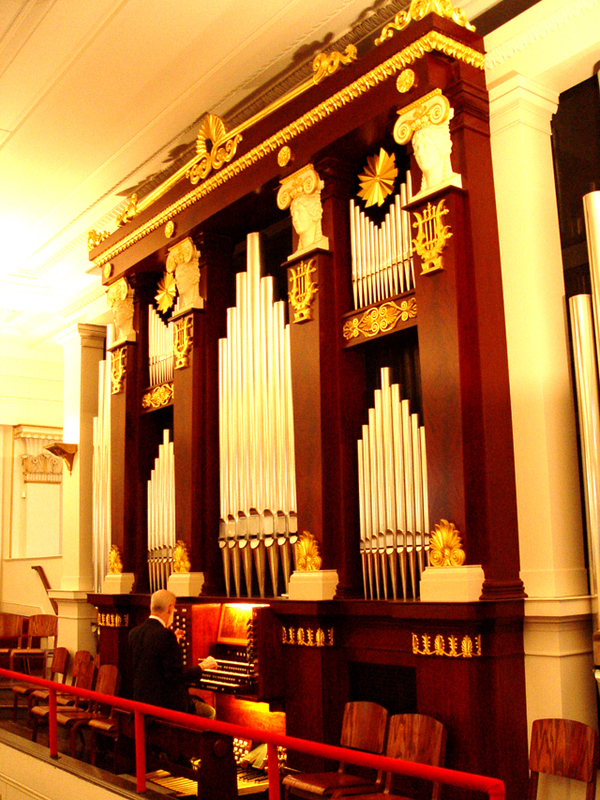 Many other families and individuals also contributed towards this splendid organ. 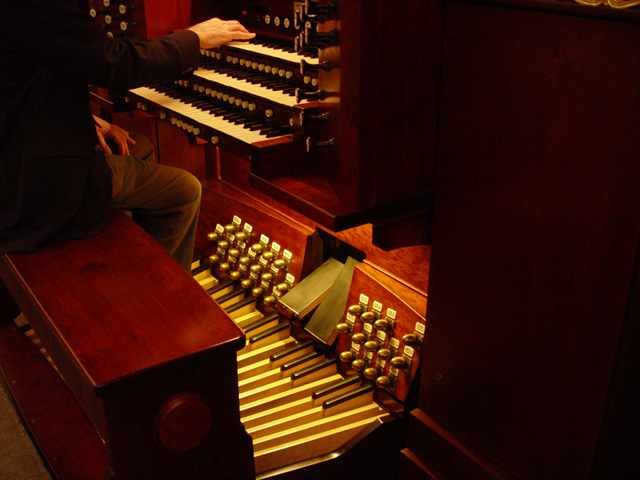 This was the first large Rosales organ to appear in the eastern half of the U.S. 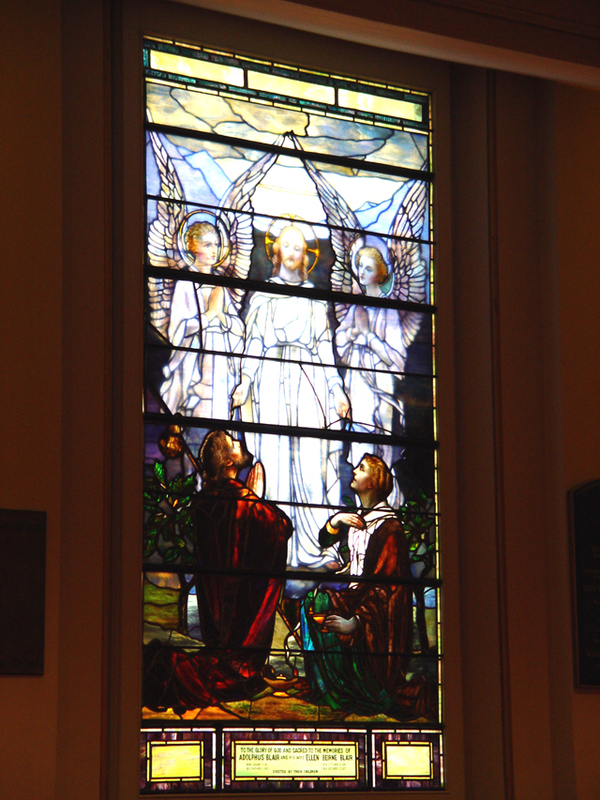 It has tracker (mechanical) key action and electric stop action.